This beautiful humpback whale was nice enough to put on a great show for the girlfriend and I today while we were whale watching. 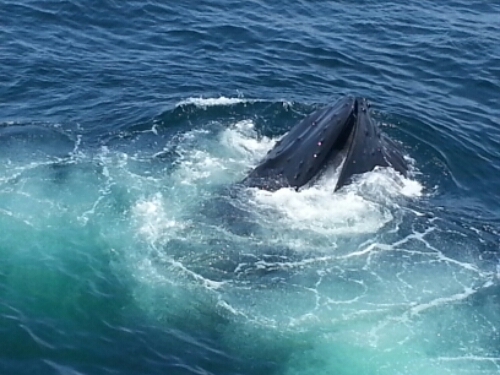 It was great to see these beautiful creatures who are so massive move through the water with such grace. First time I have been whale watching since I was a kid and I was so glad we went, it was cool when I was a kid but had a much greater impact now. Grateful to the people who dedicate their lives to protect these animals.